In “Night at the Museum: Secret of the Tomb,” Ben Stiller returns as security guard Larry Daley, together with a highly impressive group of comic actors. 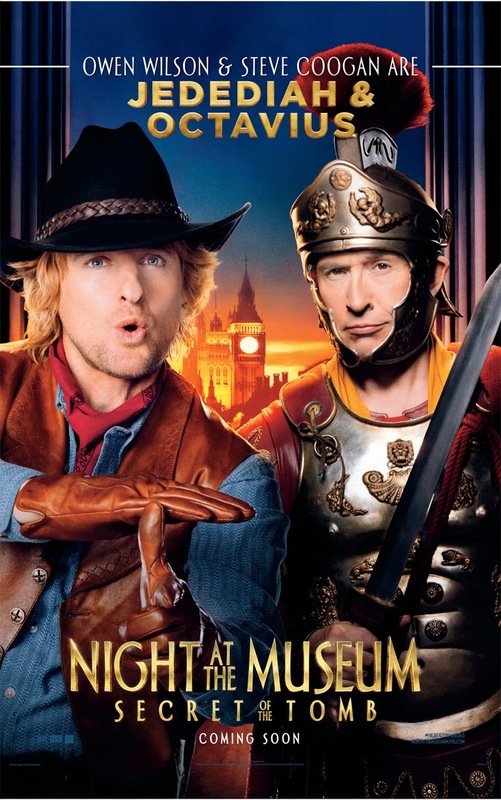 Owen Wilson is back as the irrepressible miniature cowboy Jedediah, along with his equally small buddy, the Roman general, Octavius, (Steve Coogan). Both are embroiled in the latest adventure, directed by Shawn Levy. As always, the legendary artifacts at New York’s Museum of Natural History come to life, but this time, problems arise when they start malfunctioning. The magic that keeps them alive is waning and Larry’s friends are in danger. Saving them involves an urgent trip to the British Museum in London. The friendship is all the more unexpected because the characters come from very different cultural backgrounds and eras. “There’s a brashness to Jedediah,” says Wilson, “that sort of runs up against and chafes the gentility of what Octavius represents.” The picture of civility, Octavius is a military leader from ancient Rome. He and Jedediah face their greatest peril yet when they fly through a museum air duct and find themselves in a Pompeii diorama where Mount Vesuvius is about to erupt.